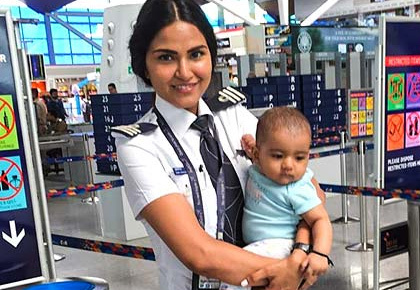 Rediff.com » Getahead » Female pilot takes baby to work. Here's what happened next! 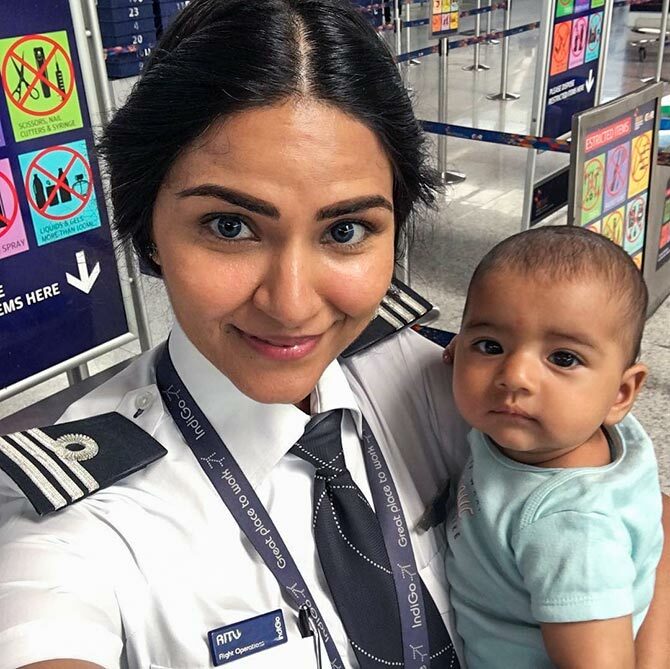 Female pilot takes baby to work. Here's what happened next! This new mom is totally in love with her work and her new role, motherhood. Ritu Rathee is giving new moms some serious motherhood goals. 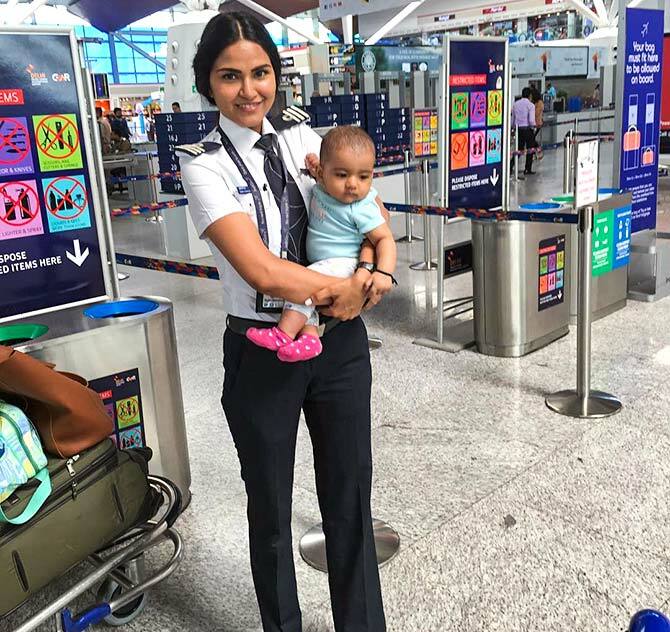 The pilot shared a pic of her in uniform at the airport along with her bundle of joy, her daughter Rasbhari, and the pic has gone viral. Her fans feel it's really cool for the new mom to get her daughter to work. 'Meri bachiiii.....itni pyari...itni bholi...meri matko...meri Rasbhari...I am blessed to be ur mother Beta. #motherhood #family #flying #myworld,' Ritu captioned the pic. 'Glad to see u in this dress again,' wrote one of her followers. 'I think it's your first flight after Rasbhari's birth,' added another. 'We all know it will be difficult for @riturathee mam to manage things, but this is the way life has to go on and the best part is @riturathee mam is back to work continuing her own identity.... Hats off to the couple,' said another. While she has been soaring new heights, Ritu has been ruling her followers' hearts with her latest posts about her work and motherhood. The pilot, who has over 73,000 followers also shared a pic from 2014. 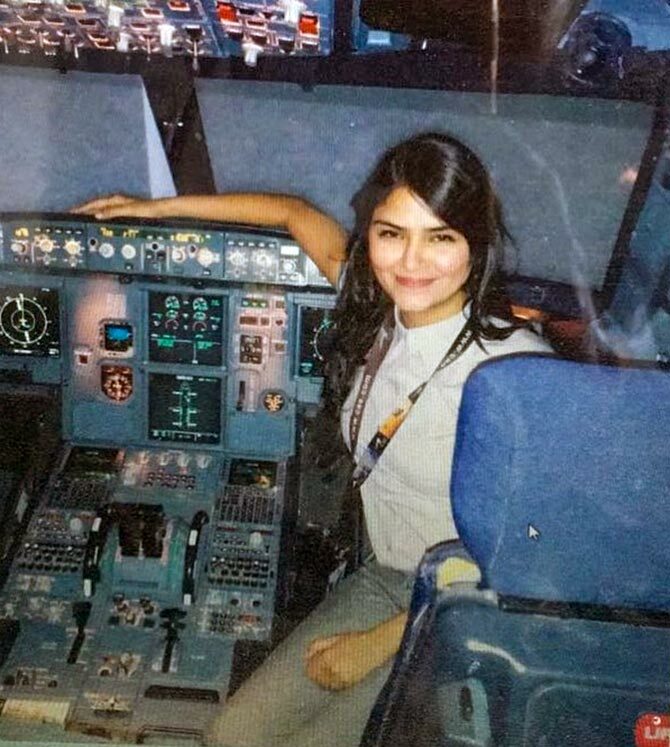 'Back in 2014..... when I went for my A320 type rating.....my aircraft....my Airbus 320......I just feel so MEEEEE....... when I wear my UNIFORM and FLY my AIRPLANE!!' she wrote.